Welcome to the first installment of a new monthly feature that I’m really excited about: Wendy’s Favorite Things. As a food writer, I receive samples of many culinary products and gadgets to try out in my kitchen. Each month, I’m going to share my favorites product finds with you! These are the products that I tried and loved…ones that I know you’ll enjoy trying too. Shall we get started? 1) Noosa Yoghurt. This Aussie-style yoghurt is so thick and creamy that it can stand in as dessert! The unique texture comes from being blended with honey. The honey makes the yoghurt velvety smooth and gives it a touch of sweetness. Each container has a whopping 17 grams of protein, and comes in nine different flavors. When you’re ready to serve, simply give it a good stir to incorporate the fruit or honey into the yoghurt. I especially enjoyed the blueberry flavor topped with a handful of new fiber-and-protein packed Kashi Go Lean Vanilla Graham Clusters cereal for breakfast. It filled me up for hours and tasted amazing! My other favorite flavor is the lemon…I crumbled a sheet of graham crackers on top, and it tasted like a guilt-free lemon icebox pie. Noosa yoghurt can be found at grocers around the country, including Target. 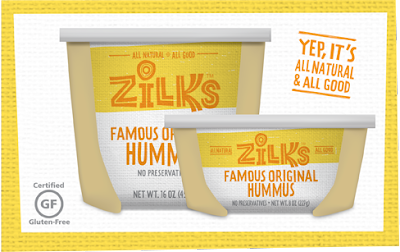 2) Zilk’s Hummus. This creamy hummus is made right up the road from me in Austin, Texas. It comes in a wide variety of the big-flavor options like Hatch Green Chile and Spinach & Artichoke. It’s perfect with pita chips for a healthy after-work snack, or as a spread on a healthy sandwich. I went crazy for the tangy Balsamic & Garlic! 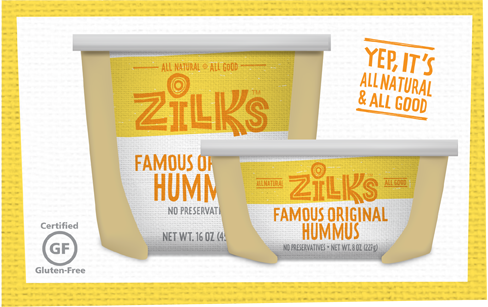 Zilk's foods makes more than hummus, though. They also offer queso, fresh salsa and a delicious ready-made Greek tzatziki. 3) POM Juice Blends. 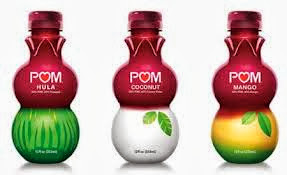 I’m a huge fan of POM Wonderful pomegranate juice, so imagine my excitement when I recently tried their new trio of tropical-inspired juice blends! The flavors in the collection are POM-Coconut, POM Hula (pineapple) and POM Mango. All three are refreshing and delicious, but I went absolutely (coco)nuts for the POM Coconut. It contains 30% pomegranate juice and 60% coconut water, and each bottle is only 140 calories. It’s sweet and tangy…with a subtle coconut flavor on the finish. As the weather turns cooler this Fall, this will be the perfect way to reminisce about Summer. 4) Straw Propeller Oatmeal. 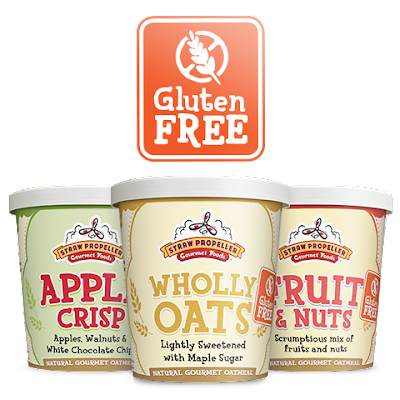 This hot cereal company offers a complete line of healthy and delicious oatmeal and muesli cups that are perfectly portioned for the perfect on-the-go breakfast. Simply add boiling water and sweetener if desired, then give it a quick spin in the microwave. I received a sampler of flavors that included Banana Bread and Apple Crisp. Their new European-style fruit and nut-infused muesli was also a great addition to the Noosa yoghurt mentioned above. My favorite flavor in my sampler pack was the addictive Blueberry Blitz. It was hearty and filling, with a double shot of blueberries: dried blueberries plus sweet and creamy yogurt-covered blueberries! It was just sweet enough to satisfy, but it had enough fiber to keep me filled up and fueled all the way until lunchtime. 5) Harvest Snaps. 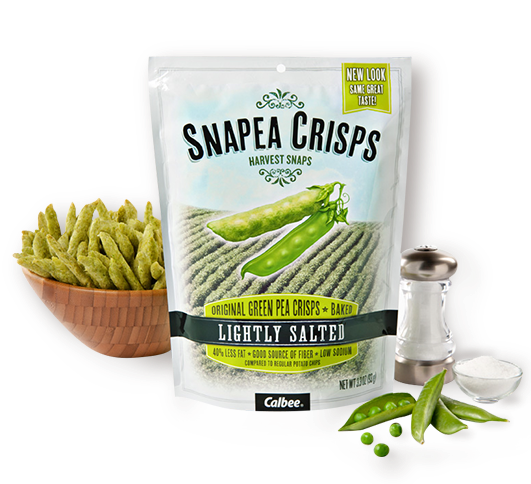 What do you get when you combine the nutrition of snap peas and the crunch of chips? These addictive little bites! Made with all-natural freeze-dried peas or lentils, they’re a healthy way to conquer your craving for something crunchy. I’m not a huge pea fan, but I simply couldn’t get enough of the Lightly Salted Snapea Crisps! They come in a lentil variety as well, and they feature six fun flavors like Wasabi Ranch and Black Pepper. Each serving averages 120 calories, 6 grams of fat and 3 grams of healthy fiber. They're also gluten free and prepared with non-GMO sunflower oil. That means this is a snack that you don't have to feel the least bit guilty about eating! 6) Mama Francesca Parmesan. 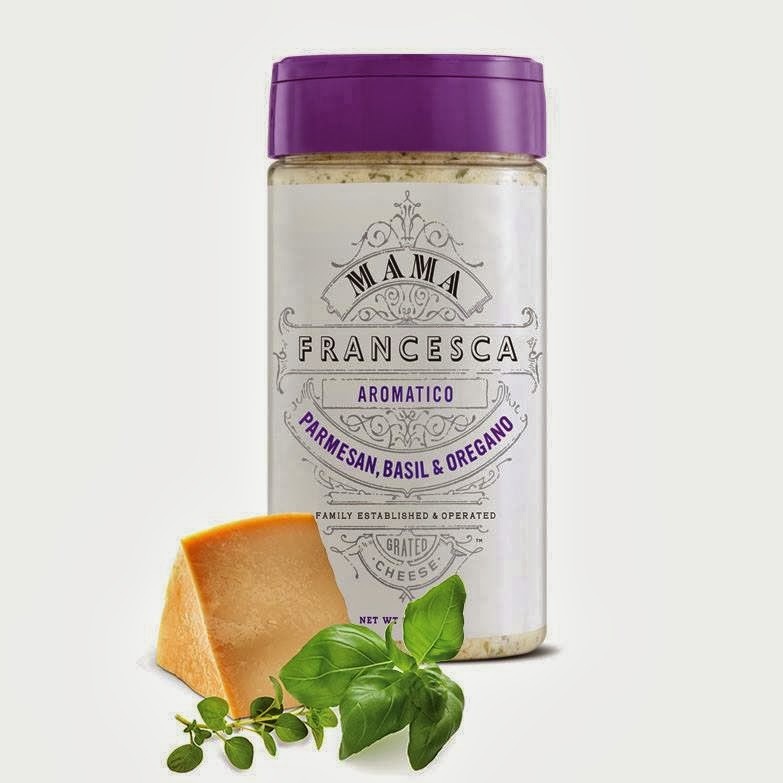 This line of shelf-stable aged parmesan comes in a wide variety of flavors, making it a great pasta topper for a busy weeknight. So far, we've tried the Fiero (with Parmesan and Red Pepper) and the Aromatico (Parmesan, Basil & Oregano). Every variety is bursting with robust flavor, but my favorite is the Aromatico. It brings a perfect herbal punch to simple pasta dishes. Michael loved the fiery burst of heat from the Fiero. Next up on our to-try list is the Pungent, which is a mixture of garlic and parmesan cheese. 7) Kuhn Rikon Ratchet Grinder. This is hands down the best kitchen gadget that I've discovered this year! I had a chance to try out this ergonomic grinder during our Julia Child cooking class at Sur la Table last month, and I was immediately hooked. 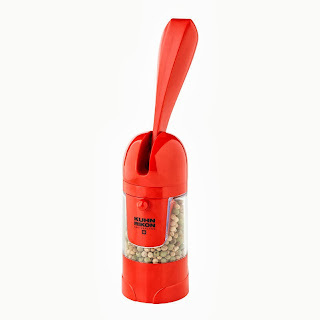 This handy gadget retails for about $20 and allows you to effortlessly add freshly ground pepper, salt or spices to your dishes. I was thrilled when Kuhn Rikon offered to send me a snazzy red ratchet grinder for my kitchen. Unlike traditional grinders, this one requires only a simple back-and-forth motion that puts out a perfect amount of ground pepper. I’m a convert! 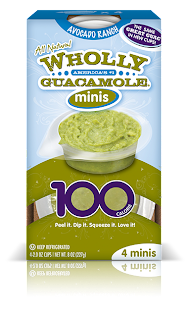 8) Wholly Guacamole's Avocado Ranch 100-Calorie Minis. I am in love with these amazing portion-controlled ranch flavored packs of all-natural guacamole! If you love avocado and ranch, you'll go nuts for this creamy concoction too. They're portion and calorie controlled, and they taste fantastic. Each individual mini container contains 100 calories, 9 grams of fat and 3 grams of fiber. These little babies are so versatile! I love to use them to top burgers and spread on bread for an excellent mayo replacement. It also makes an excellent portion-controlled healthy snack when paired with baked tortilla chips. If you're not into ranch (for shame! ), you can also get these 100-calorie minis in Classic Guacamole. There you have it…my favorite new food and kitchen items for this month! I hope you found something new to try out in your kitchen…make sure to leave a Comment if you give one of these products a try. Come back next month to find out what other fun, new products I’ve been trying out in my kitchen. Disclosure: The products featured in this article sent me samples of their products to facilitate inclusion. I received no other compensation, and all opinions expressed are solely my own.